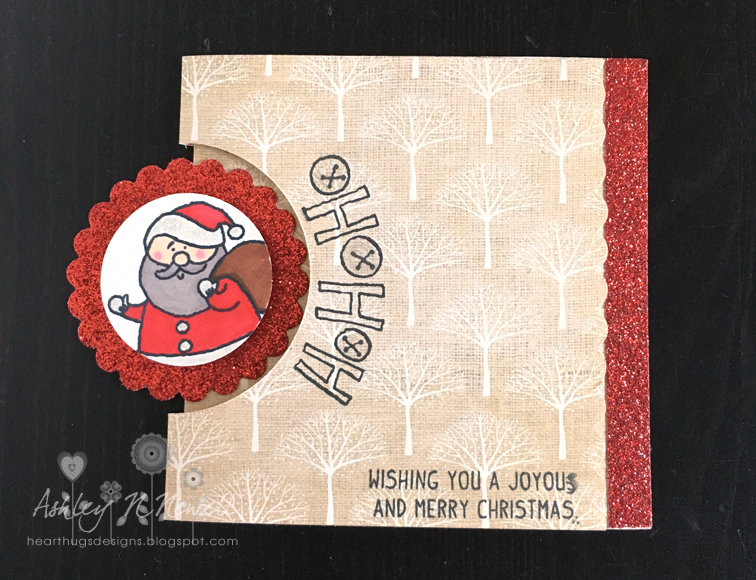 Speaking of Christmas, today I'm sharing a couple cards I made with my friend Rachel at her crop. I actually made these cards in November but forgot to post them. The first one is the one that Rachel designed as her make and take. I put it together and colored it. She has one each month featuring her Close to My Heart products. The second card is my twist on her card which is what I usually do each month so I can blog it and feel like I'm sharing something original. My card actually came about because Rachel accidentally cut the card base the wrong way so I figured I'd make a card that's horizontal. I also wanted to use a different stamp to change it up. 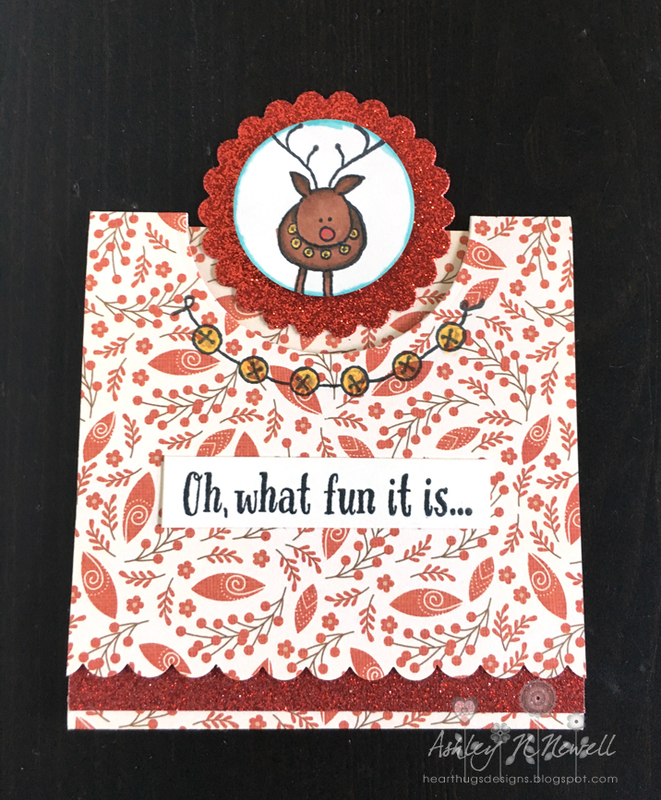 Both cards are made with the CTMH Reindeer Bells stamp set, Red Glitter Paper, and White Pines paper. I used some of Rachel's Touch Twin markers to color the images. I'm a little rusty. I hope you're having a great month! I have a few more Christmas cards to share and some fun blog hops later on. 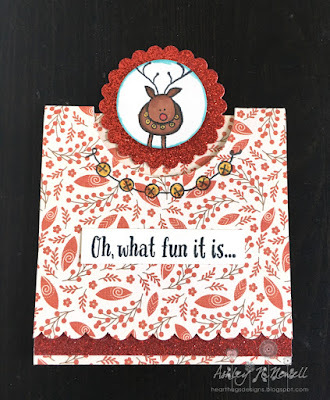 Also, I picked a winner for my Blogiversary giveaway and it is posted in the giveaway widget. Both cards are super adorable, Ashley. If your coloring skills are "rusty" I wonder what that makes mine since I think yours looks fabby!! :) Really cute cards. Very cute cards! I hope you are doing OK, I've been totally swamped here and not out and about as much as I hope to be normally. Hope that you're able to enjoy the season despite the busyness!